Many writers write book reviews without reading the book and going through it as thoroughly as they should. Reading a book give one a better idea than they would normally get from hearing or reading about it. It is important to understand the book in one's own words before writing a review about it. The title does not have to be the title of the book. It should pose a question or get the reader thinking about what perspective the writer is on about in their review. The introduction is the part of the review that attracts the attention of the reader to the review. The title takes advantage of their curiosity but the introduction should encourage them to keep reading. 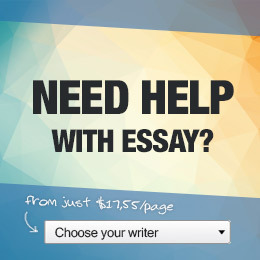 Writing experts say that the content of the conclusion is what the reader takes home with them. At the end of the day, after all the points in the body, the conclusion is the part that will come back easiest to the mind of the reader. So everyone has read the book and explored the aspects of it. Do not be afraid to look for the things that people have not seen or to go the directions that people have not gone before. Although this should not be used as the only source of information, it is important to read about the opinions of other people on the book. It will help shape arguments to some extent, and one might gather useful pointers. The use of language to put points across is not reserved for the book only. One might consider the use of humor, sarcasm and the like to emphasize their ideas. The target of the book review should not be lost on the author. They should be careful not to be too offensive or too boring to those to whom they are writing. This might sound cliche but the review should avoid basic mistakes especially in grammar and punctuation. It is assumed that the person writing reviews is proficient in their grammar, and mistakes might end up distracting the reader from the true purpose of the review. In the attempt to impress, writers might be tempted to over indulge. When writing a review, the writer should remain as relevant to the subject matter as possible. Comparisons are useful but they should not be overused.